At Land Rover Colorado Springs, we have only one 2017 Land Rover model left in our inventory and it’s currently on a special offer! This 2017 Range Rover Evoque SUV is now discounted by almost $10,000 – making it a crazy good deal at $46,989! The perfect luxury SUV, this Evoque boasts great gas mileage at an estimated 21 MPG city/29 MPG highway with its 2.0L turbocharged engine. It really catches your eye with its Santorini Black exterior. The interior is a combination of ebony and ebony oxford and offers you some wonderful features including a HomeLink garage door transmitter, voice activated air conditioning, tire specific low tire pressure warning, and more! 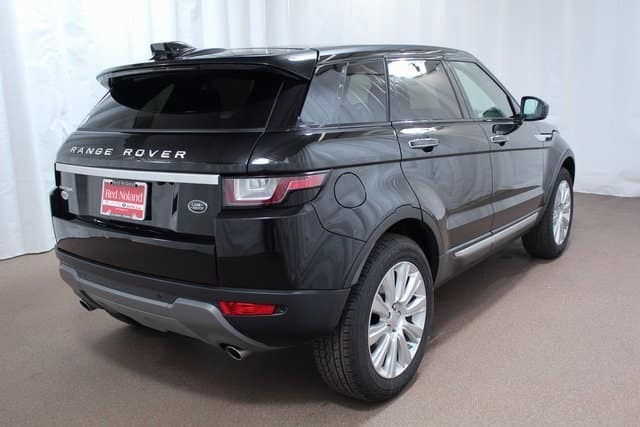 So, hurry into Land Rover Colorado Springs to check it out. Test out the many super features and even take a test drive so you can be certain this is the SUV for you!